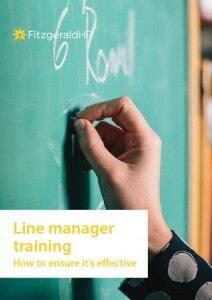 There’s no doubt that there are a lot of high quality management training courses available. However, running a number of training days won’t necessarily change the behaviour or improve the performance of your managers. Attendees can be enthusiastic on the day and then soon forget what they have learned when they get back to the day job. This guide looks at ways to counteract this familiar problem that organisations face. For a copy, please enter your details below.